You want to make the first column narrower. 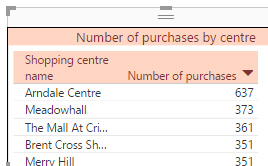 You gradually lose the column header as you make the column narrower. The solution used to be to use shorter headings! Turn this property on to wrap column headings, where they don't fit into the available space. 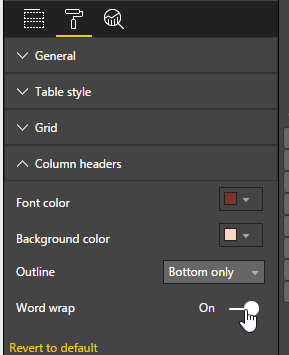 Power BI Desktop will now insert breaks where there's a space or hyphen, if the column header doesn't fit onto a single row.